This question is public and is used in 1 group and 57 tests or worksheets. Note: This question is included in a group. The contents of the question may require the group&apos;s common instructions or reference text to be meaningful. If so, you may want to add the entire group of questions to your test. To do this, click on the group instructions in the blue box below. If you choose to add only this question, common instructions or reference text will not be added to your test. 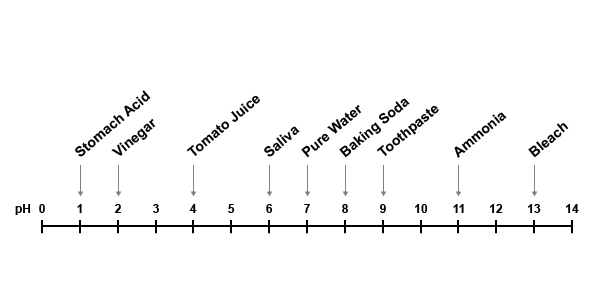 Use the pH scale to answer the questions. Stomach acid is more acidic than vinegar.